Jim Worthington is looking after the welfare of the Newtown Athletic Club, the fitness industry, IHRSA, the president's council, and the PHIT Act. A Man for All Seasons: Jim Worthington, the owner of the Newtown Athletic Club (NAC), is both incredibly persistent and productive. 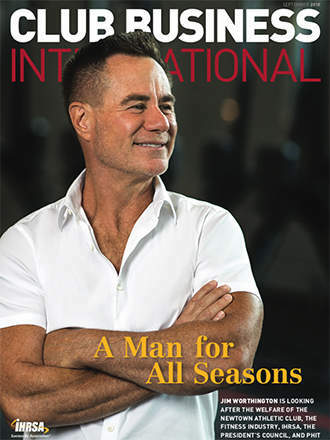 Over the past 40 years, he's transformed NAC into an iconic 25-acre "lifestyle" estate, and, since March, he's been elected the chair of IHRSA's board of directors and appointed to the President's Council on Sports, Fitness, and Nutrition. One can only wonder: What's next on his "to-do" list? Membership Sales Go Digital: Technology has enhanced the sales process in endless ways and simplifies the member acquisition process. 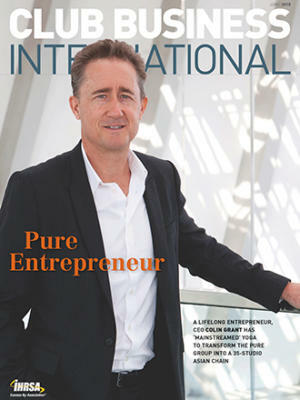 Lisbon Enlightenment: "Explore" the industry's future in Lisbon at the 18th Annual IHRSA European Congress. Strength, Peace, Empowerment: Weight rooms are providing women with the strength they need to thrive in a trying world. The Trendsetter: Anthony Geisler transforms concepts into formidable franchises. News: Pursuing data standards; clubs for those in the need; Apple introduces stand-up desks; 49ers brand fitness center; Tough Mudder on club path; funds refresh U.S. Fitness Holdings; 7-Eleven retails workouts; and more. 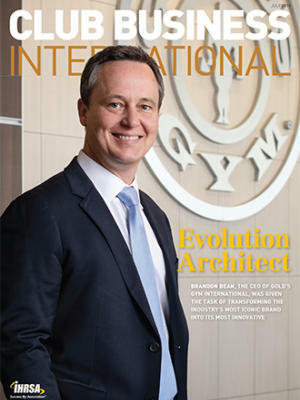 First Person: IHRSA board member Chris Craytor considers the future of PHIT, IHRSA, and the industry. On the Move: Gold's Gym Challenge winners; Blink Fitness banks in Newark; Xercise4Less hits 50; UFC expands in Chicago; plus other club news. 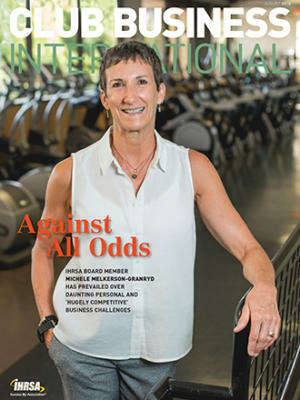 PHIT Approaches the Finish Line: Now is a critical movement in the history of PHIT, observes IHRSA Chairperson Jim Worthington in this month's First Set. Best Practices: The New York Health and Racquet Club's Franklin Rice explicates corporate sales programs. Value Proposition: Perfect Gym Solutions: This firm is harnessing data analytics, machine learning, and sophisticated algorithm to help clubs make well-informed decisions. 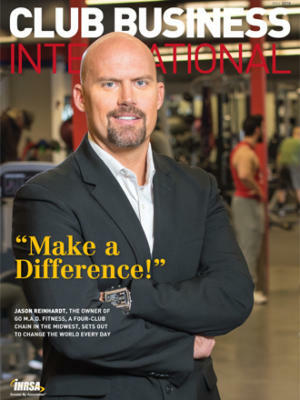 IHRSA Metrics Define the Industry: The 18th Annual European Congress is just one of many valuable IHRSA resource, notes president and CEO Joe Moore in this month's Last Rep.